Like many artists in Mexico City’s vibrant intellectual circles, Frida Kahlo avidly collected traditional Mexican folk art—arte popular—as a celebration of Mexican national culture. 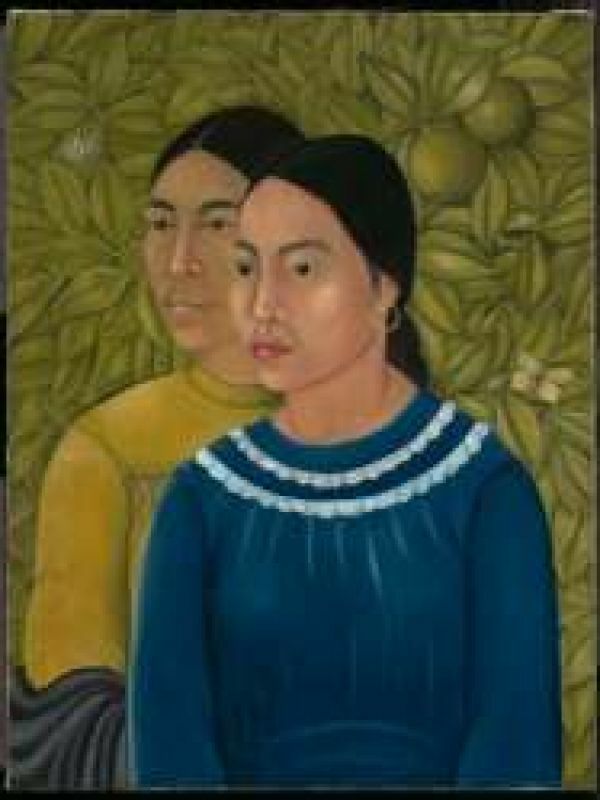 She drew inspiration from these objects, seizing on their political significance after the Mexican Revolution and incorporating their visual and material qualities into her now iconic paintings. Following the recent acquisition of Dos Mujeres (Salvadora y Herminia) (1928), this is the MFA’s first exhibition on Frida Kahlo. It tightly focuses on Kahlo’s lasting engagements with arte popular, exploring how her passion for objects such as decorated ceramics, embroidered textiles, children’s toys, and devotional retablo paintings shaped her own artistic practice. A selection of Kahlo’s paintings—including important loans from the Museum of Modern Art (MoMA), the Los Angeles County Museum of Art (LACMA), and the Harry Ransom Center at the University of Texas at Austin—is brought together with representative examples of arte popular. Bringing fresh attention to Kahlo as an ambitious, ever-evolving painter, this exhibition also opens broader discussions about the influences of anonymous folk artists on famed modern painters.